Are you tired of long and boring officer elections? 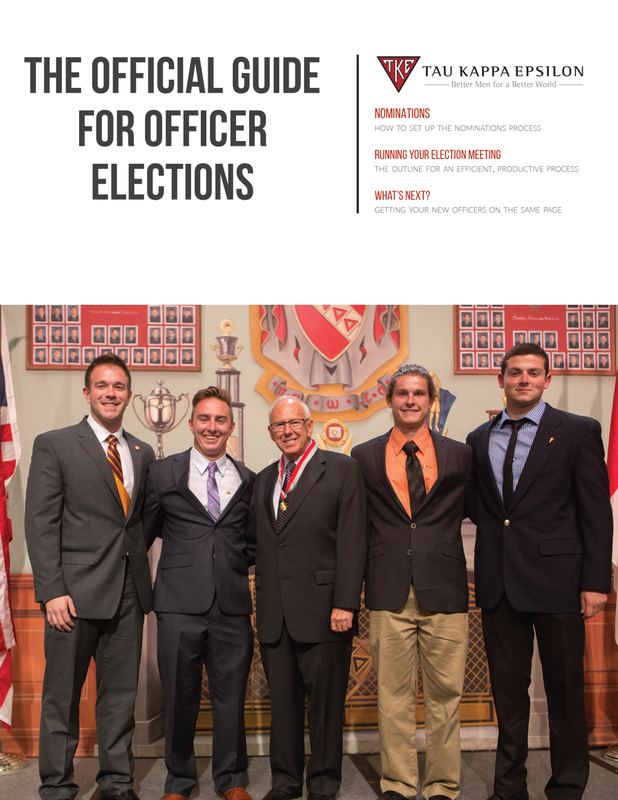 Tau Kappa Epsilon's Offical Guide for Chapter Elections is designed to serve your chapter/colony to reduce the time it takes for officer elections. If you are a current officer, interested in running for office, or a general member looking to ensure elections are run fairly and efficiently, the Officer Election Guide provides important details to ensure officers are being chosen in the most effective manner possible. This guide provides detailed information for strategically planning election day, executing your election meeting, taking the next steps with your newly elected officers, and other crucial information in regards to officer elections. Click the image below to download "The Official Guide for Chapter Elections"